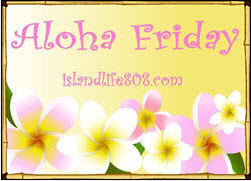 Serendipity is Sweet: Aloha Friday! You gals rock! Thank you!! Feel free to leave a shout out in your comment or add a link to the linky. Thanks and have a wonderful Friday!! What a lovely post, thank you! Thanks for the shoutout. And thanks for being one of my regulars too! Ah, thanks for the shoutout, and in SUCH great company too! WOW! Hey, I voted for you yesterday, do you know if we can vote once a day?? I do love my regular AF visitors! Alert: Do You Post Photos Online? Watch This!